Heren, Ik doe dit in het Engels omdat er waarschijnlijk ook mannen zijn van SHAPE/FREDS etc die interesse hebben. Hoor graag jullie reactie. 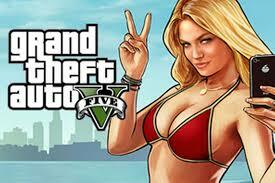 Recently, I have rented a GTA5-Fivereborn 36 slots gameserver with the idea to develope a RP server for people I know. For the Fivereborn modification there are a lot of mods and scripts available but it's still fare away from perfect. In order to have a good RP experience, you need to have a lot of scripting knowledge which I don't have. Appart from that it will take a long time before you have the perfect thing running. I been looking around for the last few days and found a Community called “Eclipse Roleplay” who are offering finished RP experience for their members. They have been developing a complete RP server in the last 6 months, which is based on GTA:Network. Eclipse Roleplay Community announced to release their modification on February the 26th at 19.00 CET. Voice chat is an important feature on this server. You may use chat if you wish, though in fast-paced situations you'd want to be able to use your mic instead of chat. Not having a microphone will not affect your gameplay, roleplay actions are fair game and done in chat. All players will be able to own houses, apartments and trailers assuming you have the income. This could affect your tax bracket. All players will be able to own businesses. A business is mainly for profit, and in a closed economy you must profit from players. Making sure your business is stocked up and has customers are your priorities as an owner to ensure your business stays active. This could affect your tax bracket. Business examples are general store, mechanic shop, clothing store, petrol stations, etc. All players will be able to own vehicles. This includes motorcycles, boats, aircraft, cars (small to large-sized). Having the money to buy a vehicle isn't the only thing you should be concerned about. You still must register the vehicle with the Government (or not), have the income to properly maintain the life of your vehicle and know that the ownership of your Governemnt registered vehicle can affect your tax bracket. All prices on the server are based on demand and supply. Players choose the price of objects they sell. This is based on how much of a product a person has, how much they can make or buy and how long it takes them to make or buy it. This is, but not limited to, vehicles, businesses, homes, drugs, and weapons. All players will have a tax bracket. They will have to pay their taxes at every paycheck. The percentage you pay is based on how much you own. In other words, owning a nice house and cars will affect your tax bracket, and in turn will affect how much in taxes you will pay. These events will last from 1 week to 2 months. Events are such as War, Pandemic, Drought, Femine. This can affect the economy, players health and accessibility to services. Just like in real life, players can go to jail. You probably don't want to be here, but if you fought the law, they might've just won and you're stuck there. Until you serve your time of course, or break out. Obviously breaking out has consequences, to do it you must find out a method on your own. Players will be able to watch movies/videos together using radiowave electronics such as a TV. Robbing players is possible, there are certain conditions you must meet to rob someone. Bank heists will be added as well and will affect economy. It is possible the be the Governor of San Andreas. Elections will be held by the Government to choose who will decide what the people want. The Governor may present ideas in which the people can accept or refuse. The people can petition ideas to the Governor until it has been approved. All ideas are then bumped up to the Government (Administrators). The Governor has a special authority within the city, and may request services that will be provided to them. Players may join the police force after filling out an application on our forums. The police are the law enforcers of the community. They must abide by and enforce laws, as well as protect the citizens. Players may become a taxi driver as they please. Taxi drivers will pickup clients around the map for money. Fares start with a base fare rate set by the driver and increase based on distance and time. Players can join or create a taxi company to better communicate and prioritize their clients. Paramedics are there to help players and ensure they are in good health. They respond to emergency calls and as well treat players in hospitals. You can apply for this position on the forums. Firefighters are tasked with assisting players in vehicle crashes and extinguishing house fires and factory fires. Any player may become a Firefighter. Any player may become a courier. A courier delivers packages to players, or businesses. This will use a checkpoint system, upon arriving a minigame will be presented to complete your delivery. They can be used to send boxes of objects to other players. Any player may become a mechanic. A mechanic is used to fix a vehicle and ensure it's in great running condition. A sole, mobile tow truck mechanic can fix the engine and lights of a vehicle. A mechanic within a mechanic shop can fix physical damages, paint, then polish your vehicle for a complete repair. You would want to keep your car in good condition to avoid the shop. Players may create or join mechanic shops to ensure their business upholds standards of communication and servicing. Any player may become a farmer. They are the players who grow crops for the server. These crops are products that may be shipped. Miners are pickaxe-wielding labour workers who mine for minerals which may be shipped. Any player may be a Miner. News reporters gather news for the community in newspaper or TV form. Any player can be a news reporter/journalist. Players may become a security guard. They are mainly tasked with guarding other players and businesses. Border patrol ensures no drugs or illegal fugitives cross the borders of San Andreas. Special Weapons And Tactics. Players may become a member of S.W.A.T., their primary role is to protect the citizens of San Andreas from medium-to-high risk threats. Players and vehicles will all have an inventory. Players may grab or place objects into inventories for safe keeping. Players will be able to buy, use and sell drugs. Drugs all have an affect on health of player. jaa idd!.. ook ik ben enorm benieuwd hierna! @storm - @spectre - Zij gaan zaterdag on-line ik zal proeven en jullie laten weten .. - @johnDoe + @Nyte + meer mannen .. hebben jullie interesse ?? (24-02-2017 03:02 PM)Spoor schreef: @storm - @spectre - Zij gaan zaterdag on-line ik zal proeven en jullie laten weten .. - @johnDoe + @Nyte + meer mannen .. hebben jullie interesse ? ?